Hedge funds run by legendary names like George Soros and David Tepper make billions of dollars a year for themselves and their super-rich accredited investors (you’ve got to have a minimum of $1 million liquid to invest in a hedge fund) by spending enormous resources on analyzing and uncovering data about small-cap stocks that the big brokerage houses don’t follow. Small caps are where they can generate significant outperformance. That’s why we pay special attention to hedge fund activity in these stocks. Hedge fund interest in Align Technology, Inc. (NASDAQ:ALGN) shares was flat at the end of last quarter. This is usually a negative indicator. The level and the change in hedge fund popularity aren’t the only variables you need to analyze to decipher hedge funds’ perspectives. A stock may witness a boost in popularity but it may still be less popular than similarly priced stocks. That’s why at the end of this article we will examine companies such as KB Financial Group, Inc. (NYSE:KB), FleetCor Technologies, Inc. (NYSE:FLT), and Omnicom Group Inc. (NYSE:OMC) to gather more data points. Let’s check out the recent hedge fund action encompassing Align Technology, Inc. (NASDAQ:ALGN). How have hedgies been trading Align Technology, Inc. (NASDAQ:ALGN)? Heading into the first quarter of 2019, a total of 37 of the hedge funds tracked by Insider Monkey held long positions in this stock, a change of 0% from the second quarter of 2018. 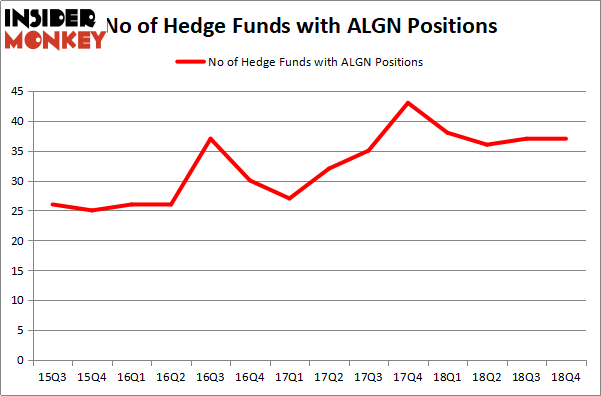 On the other hand, there were a total of 38 hedge funds with a bullish position in ALGN a year ago. With hedgies’ positions undergoing their usual ebb and flow, there exists an “upper tier” of notable hedge fund managers who were adding to their stakes significantly (or already accumulated large positions). More specifically, Renaissance Technologies was the largest shareholder of Align Technology, Inc. (NASDAQ:ALGN), with a stake worth $527.7 million reported as of the end of September. Trailing Renaissance Technologies was Tybourne Capital Management, which amassed a stake valued at $215.8 million. Melvin Capital Management, Viking Global, and Partner Fund Management were also very fond of the stock, giving the stock large weights in their portfolios. 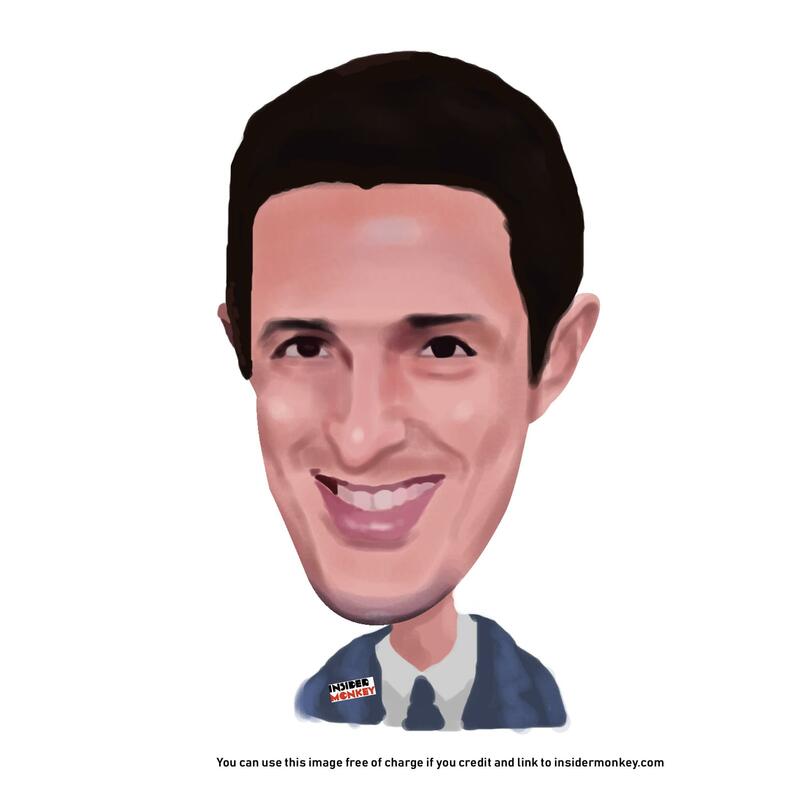 Because Align Technology, Inc. (NASDAQ:ALGN) has faced bearish sentiment from the aggregate hedge fund industry, it’s easy to see that there exists a select few funds that slashed their full holdings by the end of the third quarter. It’s worth mentioning that James Crichton’s Hitchwood Capital Management dropped the largest investment of the 700 funds followed by Insider Monkey, worth an estimated $60.6 million in stock, and Clint Carlson’s Carlson Capital was right behind this move, as the fund dropped about $26 million worth. These moves are interesting, as total hedge fund interest stayed the same (this is a bearish signal in our experience). Let’s now take a look at hedge fund activity in other stocks similar to Align Technology, Inc. (NASDAQ:ALGN). These stocks are KB Financial Group, Inc. (NYSE:KB), FleetCor Technologies, Inc. (NYSE:FLT), Omnicom Group Inc. (NYSE:OMC), and KKR & Co Inc. (NYSE:KKR). This group of stocks’ market valuations are closest to ALGN’s market valuation. As you can see these stocks had an average of 21.5 hedge funds with bullish positions and the average amount invested in these stocks was $1041 million. That figure was $1437 million in ALGN’s case. FleetCor Technologies, Inc. (NYSE:FLT) is the most popular stock in this table. On the other hand KB Financial Group, Inc. (NYSE:KB) is the least popular one with only 6 bullish hedge fund positions. Compared to these stocks Align Technology, Inc. (NASDAQ:ALGN) is more popular among hedge funds. Our calculations showed that top 15 most popular stocks among hedge funds returned 19.7% through March 15th and outperformed the S&P 500 ETF (SPY) by 6.6 percentage points. Hedge funds were also right about betting on ALGN as the stock returned 20.2% and outperformed the market as well.